The amazing coast of the Arabian sea, mesmerizing sunkissed beaches, party mood, and the fun vibes - Yes, we are talking about Goa here. Despite being pint-sized, it is full of natural beauty. It has 78 mi. of coastline which holds some of the best beaches in the country. From a rocky coast to white and silvery sand beaches, it has it all. Travelers from around the world come and enjoy these tropical beaches. The vast horizon of the Arabian Sea looks serene and calm from here. Sipping a chilled beer while sitting at any of Goa beach shack will take away all the stress from your busy life. If you are out there to party, then it's even better. There are numerous joints close to these wonderful beaches that will cater to your party mood. Whether you are there on your Honeymoon tour, Family Tour, friends get together or on a solo trip, fun is guaranteed. There are different places for travelers with different tastes in Goa. Party enthusiasts prefer North Goa over the South, While tourists looking for more serenity prefer South Goa more. Tourists with spiritual interests are more inclined towards Old Goa. Coastal climate of Goa also boasts another aspect of India, that is the Spices. Yup! You read it right - Spices. From centuries, spices have been an important trade for Goans. There are many spice plantations farm in Goa where you can take a deep look into this subject. From clove, pepper, turmeric to the famous Goan cocum, everything is grown here. You will love their spices as much as you love their beaches. Take some time out from your cool Goan holiday and make sure you visit any one of the spice farms in Goa and be assured that you will take some magical ingredients home along to remember the authentic goa taste. 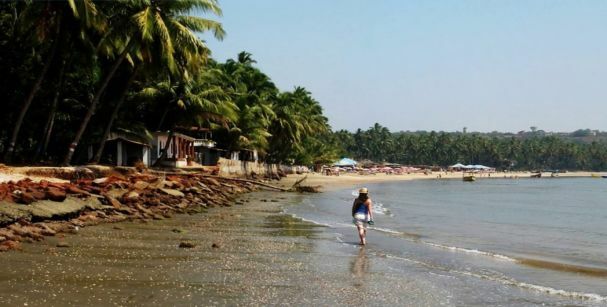 So, on talking about the beaches... let me give you an insight about some of the popular beaches here on this magnificent coastline that could help you get more out of your Goa tour package. 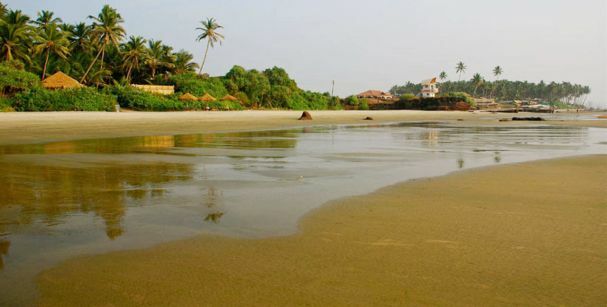 Calangute beach is the most popular Beach in North Goa and visited by hundreds of tourists every day. There is always some fun happening. This place is filled with nice eateries and clubs around. There are numerous handicraft shops which sell products which are from different parts of the world. 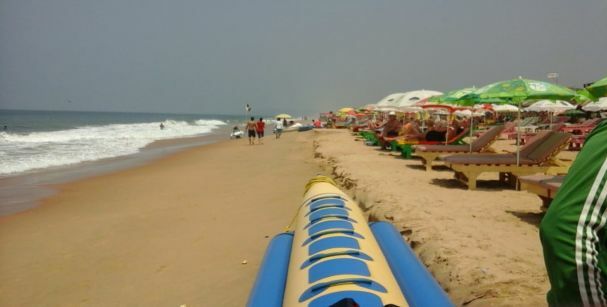 Calangute beach is quite popular among family tourist and Honeymooners alike. First-timers love this beach for all the fun and adventure activities that are offered here. Some of the popular restaurants and clubs here are Eutopia, Revolution, Cape Town cafe, The Curry house, The Fisherman's Warf and many more that will give you a true delight on your Goa tour. This beach is best suited for people on family tour package and honeymoon tour package. Baga beach is another most popular beach in North Goa region. Its equally praised by Regular and the first-timers. It's full of Adventure activities around. From parasailing to banana ride, it's all there. Famous clubs like Tito's, Manbo's, Britto's and kamaki call this home. Its packed almost throughout the year. Close to it, there is another popular thing in Goa - The Saturday Night Market. Fun filled Goan vibes and a print of Hippie culture can be seen here. Always, bustling with life.....the fun life! During the evening, the real side Baga beach comes to life with great music, dance and a general scene of conviviality. Baga Beach is often considered to be the extension of Calangute Beach itself since both of these lies on the same stretch of sand. The full stretch is lined up with tattoo parlors, tarot shops, spas, sun decks, and some amazing restaurants and clubs. There is always something here for every mood may it be honeymooners, family tour, couple getaway, bachelor trip or just a solo tour. I am sure you will find what you are looking here. If you are on Goa family tour or Goa honeymoon tour or on a solo tour, I am sure you will love the Baga Beach. It's little different from the Baga beach. The coast here is rocky. The view of the ocean from the cliffs of Anjuna is best and unique. It lies 19 Kms. from the capital and is towards the north of the Calangute beach. Anjuna is known for its trance parties and here, there are many famous joints like Curlies, Shiva valley, Nyex beach club, Purple martini, Cafe Lilliput & UV bar which offer nice Trance music along with cool drinks menu. Another popular thing here is the Wednesday Flea market. It goes on from noon to evening and its filled with shops and stalls selling cool handicrafts and items along with nice eating options. It will give you a feeling of a modern hippie scene. Though it continues to pull in droves of backpackers, midrange and domestic tourists are making their way here for a dose of hippie-chic. This beach is great for a family tour, tour with friends & solo tour. The sunset and the sunrise look much mesmerizing from here. Vagator is shaped in an amazing arc-like structure of sand which lies between Baga and Anjuna beach and is popular for its dynamic cliffs and secluded nature. 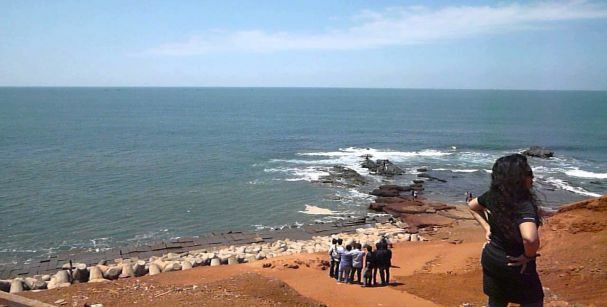 Also, the most photographed beach of North Goa and offers amazing views of the ocean. It is lined up with small hills in the background and gives you a true sense of hidden beach. It's like a perfect beach to enjoy a picnic with family and friends. This is relatively calm and peaceful than Baga & Anjuna beach. There are many lodging and dining options in Vagator. Be it a luxury resort, hotel, guest house or a budget inn, it's all here. 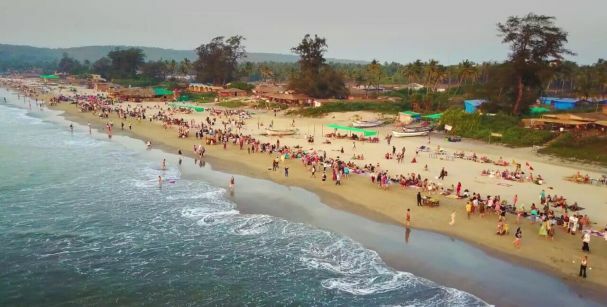 There are a lot of fun activities here in which traveler can indulge like trekking to the fort at the back, paragliding from the hills and cliffs around, jet skis and other water sports or you can just sit at any of the beach shack and enjoy the beer along with mesmerizing ocean views and a soothing sense of serenity. An idyllic getaway for new couples and beach lovers. It's located next to Vagator and lies in front of the Chapora fort. It's a small sand strip along with some red and black lava rock formations that give this small and secluded beach a unique charm. One of the best things to do here is to watch Sunrise and Sunset... it's just amazing! From here you can also take a trek to Chapora fort, located upwards on the cliff. It's an old Portuguese structure that is now just left in ruins. It offers amazing ocean views from up here. This beach is great for family tour, tour with friends, solo tour & Honeymoon tour. It has also been depicted as the fun site at many Bollywood films. Its another secluded beach in North Goa. 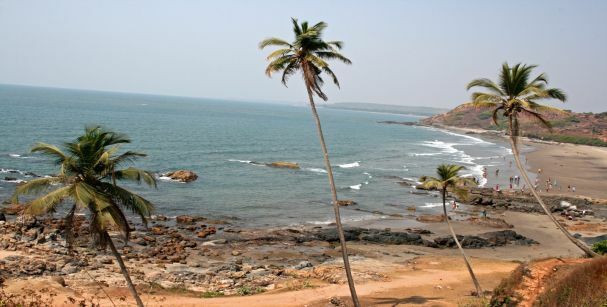 It is located towards the north side of the main Vagator beach and is also sometimes known as little Vagator beach. There is also a freshwater spring near this beach which makes it a cool spot to hang out with family and friends. The crowd here is usually very less than compared to other beaches near to it. Vibes here are calm and will give you a sense of seclusion despite being near to the happening area. If you are planning a calm Goa trip, make sure you include this in your itinerary as its still untouched and unique. Ozran beach is great for Couple tour and Honeymoon tour. Few tourists visit this place and it's almost unspoiled so far. Morjim Beach is located in Pernem district of North Goa. It owes its eminence to the Endangered Olive Ridley turtles that visit here in large numbers and often use this beach as their breeding and nesting ground. From the past few years, this beach has gathered quite a following among Russian tourist and the stay here in large numbers throughout the year. Some are temporary immigrants and some have decided to call this place their home for a lifetime. So, there is a strong dominance of Russian culture here. There are numerous shops here selling Russian items, clothing, handicrafts etc, but this is not it. There are signboards in the Russian language apart from English and Konkani. Many restaurants and hotels here are run by Russians which has earned this place a new name called little Russia. Make sure to include Morjim beach in your Goa tour itinerary. It will give you a different experience altogether. 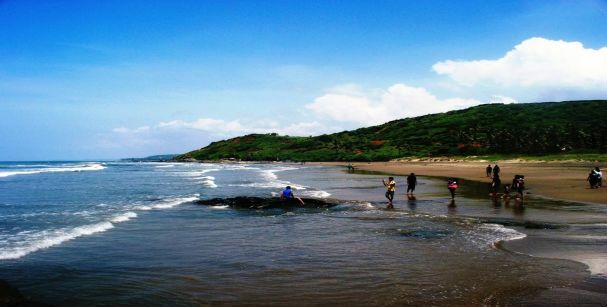 Morjim beach is great for a tour with friends, couple tour or solo trip. Ashwem Beach is situated about 32km in the north from Panaji. It is the best place to witness the scenic white sand beach of Goa. 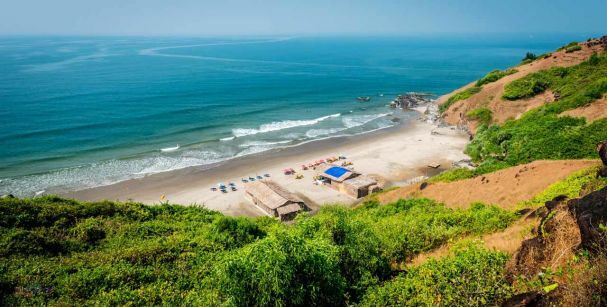 This place is like a hidden gem of North Goa coastline and it is popular among those who are looking for quite sunbathing opportunities along with beautiful views. Solitude and tranquility are in abundance here. Peaceful surroundings where one can literally watch the time pass by. It is a perfect stopover for lunch. A number of shacks line this place which offers authentic Goan delicacies. The shore is also smooth and makes a perfect spot to enjoy sea swimming. If you are looking for a calm and serene Goan holiday, make sure to get yourself located close to this spot on your Goa tour package. Ashwem beach is an ideal getaway for a family tour, solo tour, and Honeymoon tour. The Arambol Beach is said to be discovered by some hippies looking for an escape from the fading flower power era of the west in the 1960's. Since then, this beach town is welcoming tourists and long-term visitors searching for some tranquillity and peace. Arambol beach aka Harmal beach is quite popular among tourists in North Goa for many reasons. It is almost 55 km from the city center and has a unique unconventional feel to it. Golden sand stretch and mild waves of the sea make it perfect setting to take a long beach stroll with your loved ones. There are many rock structure along the long beach stretch that can give you the just perfect setting to make out with your loved one along the secluded beach just like the fantasy world. This beach extends up to 16 km and is also famous for a fresh lagoon that extends along the bottom of the valley into a thick jungle and vast sea on the other side offering a very scenic view. This lagoon here is said to have sulfurous mud which is believed to be of amazing benefits for the skin. There are a lot of budget hotels and shacks serving local cuisine lined up here. It is best for couples and those on a honeymoon trip. It's remarkably clean and calm from the other beaches in North Goa. Arambol beach is great for Honeymoon tour, Tour with friends and Couple tour. 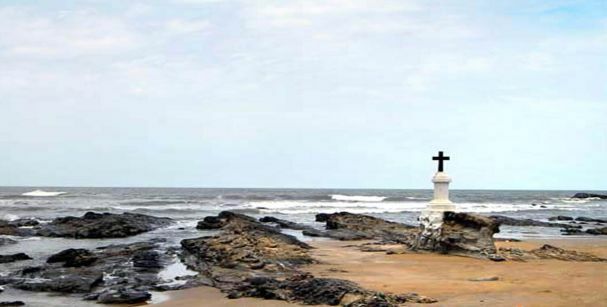 Immaculate golden sand beach shaped like a crescent, located close to Taj Fort Aguada Beach Resort, lies the Sinquerim Beach. It is the perfect spot for a low-key traveler. You get an amazing view of Fort Aguada from here. There are few shacks and overall cleanliness is great on this beach. A visit here will make you feel like, you can sit here for hours and watch the beautiful horizon. Although it might get crowded on some days during the high season time (Dec-Jan) as it is used as a base for adventure enthusiast coming here for Scuba diving, Snorkelling, Swimming, Jetski, Parasailing, Dolphin trips, Crocodile Dundee and Fishing. There are a lot of staying options nearby, and staying here will keep you near all the action of North Goa still secluded enough to enjoy that laid-back charm of Goa. 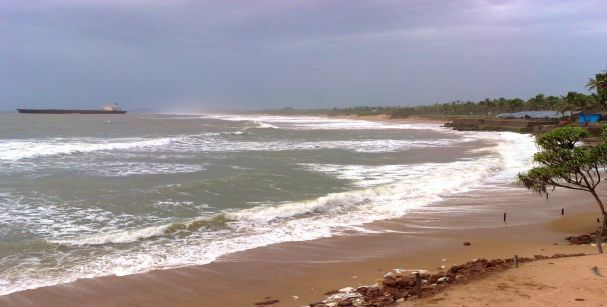 Sinquerim Beach is a nice option for people on a family tour, honeymoon tour, and couple tour. 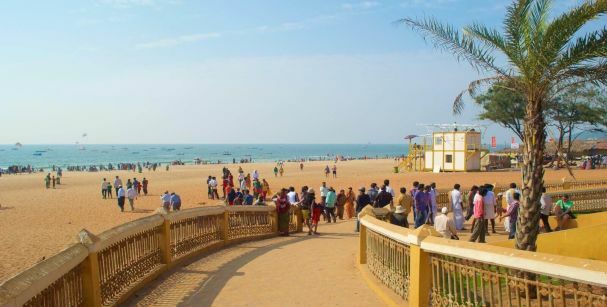 Located between Baga and Calangute, Candolim beach has its own charm. Lined with sundecks and amazing hangout joints, it's very popular among domestic and international tourists alike. Also considered as the longest beach strip of North Goa, its ideal for those long beach walks, beach volleyball with friends etc. Calm sea waves make this beach ideal for swimming or just having fun in the water. It is usually calm here, and visitors are fewer than Baga and Calangute beach even during the peak season. There are a lot of nice staying options around in this area and is much preferred by both, Goa honeymoon travelers and those on Goa family Tour. 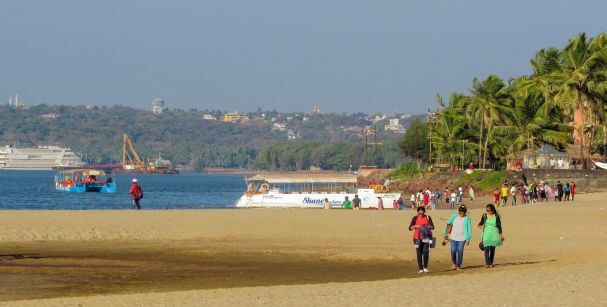 At the tip of Nerul river where the Mandovi meets the sea, lies the Coco beach. Beautiful stretch lined with tall palm trees makes the background of this beach. A lot of boat trips operate from here. It is not preferred for swimming as the water is quite deep from the near shore and the currents are unpredictable. Reis Magos Fort is located close to it which adds more visitors to this place. This is the only beach in Panjim. Its close to the market area and 5 min in a local bus can easily get you here. It is the hotspot for both locals and tourists. The water here is little muddy, but the beach itself is clean and maintained. There are a lot of stalls near it serving titbits and Indian snacks. 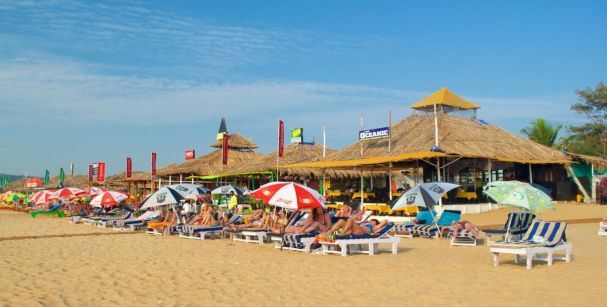 Centralized location on your Goa Holiday tour will keep you at the convenient distance from all these amazing beaches of North Goa and you can get even more out of your limited time here in Goa during your holidays. Miramar Beach is ideal for a family tour, Honeymoon tour & tour with friends. Want to have amazing goa beach experience ? Checkout our Goa tour packages to book tour package suits your budget with no hassle.